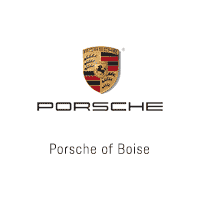 Bought an awesome used 911 from the team at Porsche of Boise. Thanks Shaun and Tracy for your excellent service. Personal service and prompt communication. Very nice loaner car! What a great dealership! Jeff Woody worked endless for me! Thank you Jeff for my 911 GTS! My wife and I are in the market to get a new car and when I stopped by there Shaun took great care of me. Great guy, extremely knowledgeable overall, had a great experience. Definitely will be back. Ask for Jeff Woody in Porsche sales. Very knowledgeable, very helpful. Not a large showroom but they usually have 3 or 4 new cars on display. A nice selection of used cars as well. Porsche club meets here on Saturday morning once a month then leaves for a short drive around the valley.